An email attachment is a file that is sent along with an email message. Email attachments is typically used as a simple method to share documents and images. This article will explain how to send email attachments in cPanel webmail (Horde and RoundCube). Log in to Webmail and choose the Horde option, if not already your default webmail. Click New Message to compose a new email message. 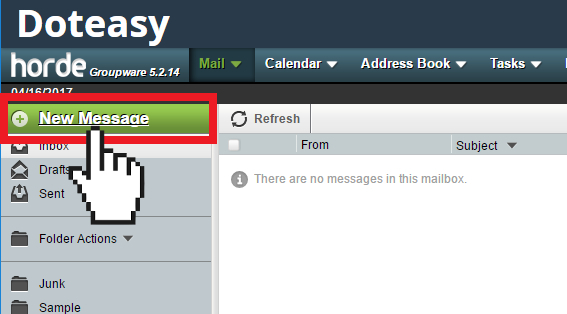 On the New Message window, click Add Attachment. Select the file(s) you want to attachment. When ready, click Send to send the email message along with any files you have attached. 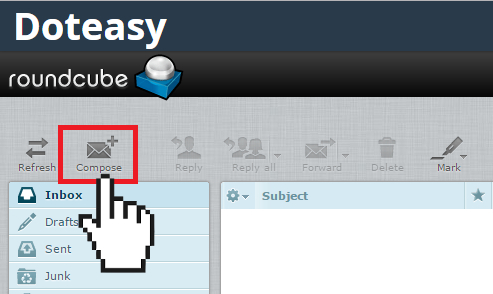 Log in to Webmail and choose the RoundCube option, if not already your default webmail. Click Compose to compose a new email message. On the new message panel, click Attach a file. Click Upload to attach the file(s) to the email message. 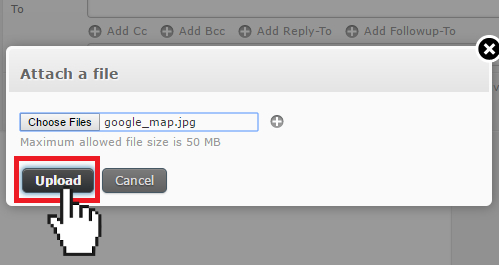 *NOTE: You can also drag-and-drop the file(s) on to the new message panel. 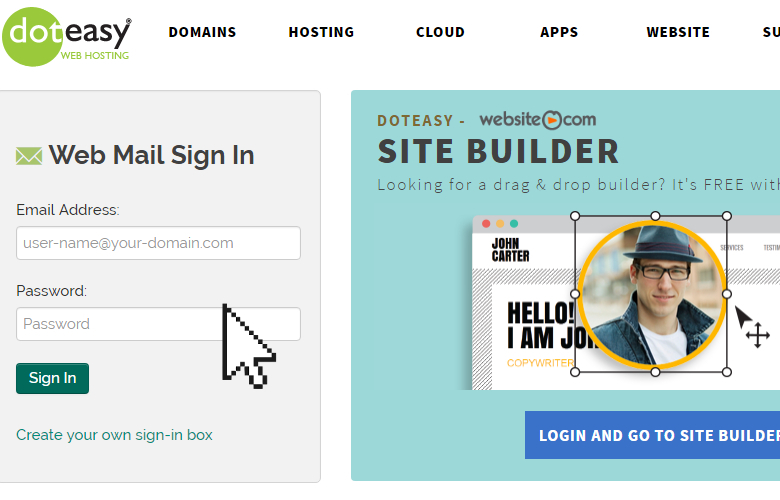 Doteasy does not enforce an attachment limit. All cPanel hosting plan has a 20MB per email message size limit. The message size takes into account the email header, subject, content and attachment(s). In other words, there is no limit on the size of the attachment, but the entire email message cannot exceed the 20MB limit. When I send an email with an attachment it is not delivered or bounces back. Why? The most common reason is the size of the attachment. 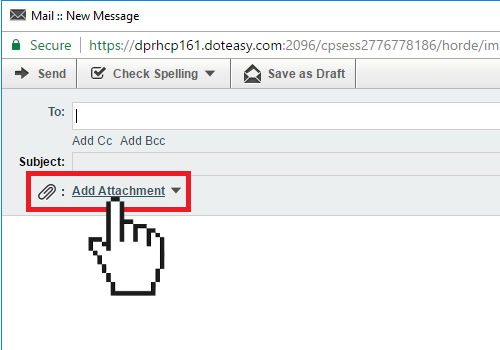 While Doteasy does not enforce an attachment limit, but if you are sending a large attachment, it may fail because it has exceeded the limit of the recipient’s email provider. Mainly for security reasons, all email server providers limit the maximum email size that an email account can receive. If there would be no maximum size limit, the email server would risk being bombarded with very large emails, causing disruption to the server. Another common reason why your email message with attachment is undeliverable is the amount of free space available in the recipient’s email account. If their mailbox has a size limit and the mailbox is full, then your message will be rejected. If you need to share large files with your recipient, we recommend that you upload the file(s) to your Doteasy web server or any other file sharing service first. Then, you can email your recipient the link (URL) where they can access/download the file(s). This allows you to share all sizes of files without clogging up inboxes or running into size limits.